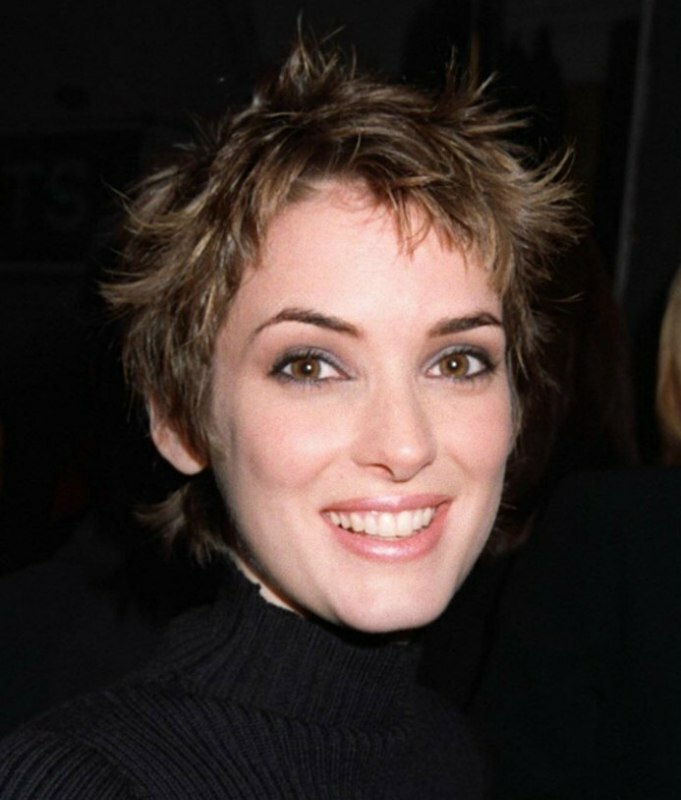 Winona Ryder was rocking it in the nineties! She looked super chic and on point at the premiere of her then new movie, "Alien Resurrection" back in 1997. Winona has always looked amazing with super short pixie cuts. This playful style is no exception. The hair is cut short around the face and left longer around the ears and neck for a different kind of silhouette. A traditional pixie has a more uniform length cut throughout. Strands are layered all over for tons of whimsy and fun! Some type of pomade is raked through her hair to really show off the incredible texture and layering. Keeping the style messy makes it look more fashion forward and not so stiff and perfect. When styling a pixie with pomade, always use your fingers to get that fun whimsical effect. Winona's dark brown hair color is a beautiful neutral shade. There doesn't appear to be any red hues mixed in. The color is very natural looking and has a lot of depth to it that make it seem very rich and shiny. This short hairstyle is a great complement to Ryder's wardrobe choice. A crisp black turtleneck helps frame the actress' face without overwhelming her. We love Winona's head to toe look and think she looks fabulous.